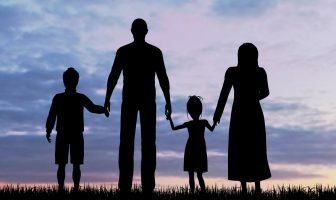 On Wednesday, the House Appropriations Committee released proposed text for the 2019 Department of Homeland Security (DHS) Appropriations Bill. Despite the fact that the Congressional appropriations process has been unpredictable for the past several years, this year’s DHS bill is sure to get extra attention. 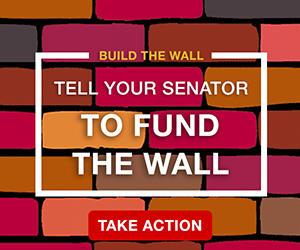 If the bill becomes law, it would fund some of President Trump’s key immigration priorities— including a significant amount of money for border wall construction. In 2016, the American people were explicit that illegal immigration was a top concern with a border wall being the clearest mandate for this Congress. 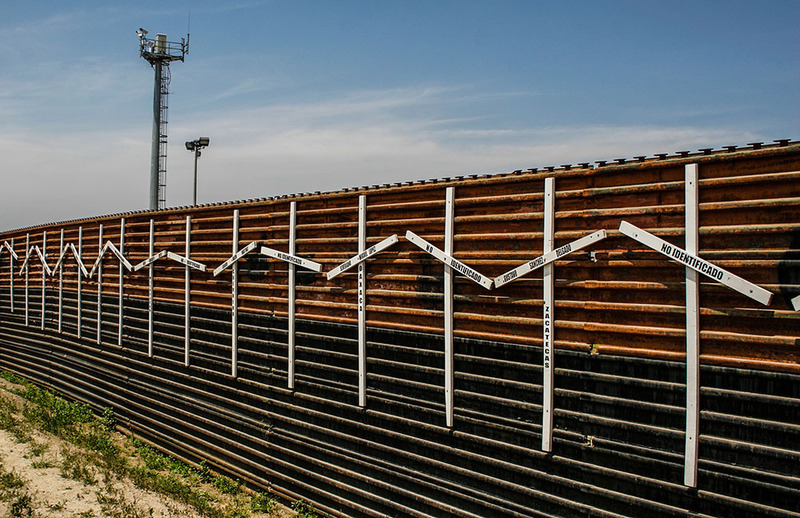 As we move towards the midterm elections, immigration reform remains a hot topic; and it is no surprise that Republicans are strengthening DHS funding at this time. This bill contains $17.8 billion in funding for Customs and Border Protection (CBP) — a nearly $4 billion increase from last year’s bill. These funds will be distributed throughout the agency, including providing for an increase in officers, personnel, and canine teams. Additionally, specific funds are aimed at combating the opioid crisis by increasing detection capabilities at international mail and express consignment facilities. 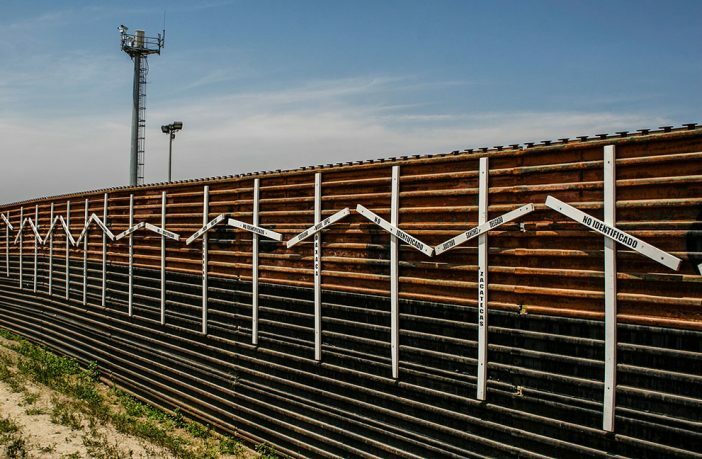 Most notably (and controversially), the legislation provides $5 billion for border security and infrastructure for over 200 miles of new physical barrier construction along the southern border. Furthermore, despite recent calls to abolish Immigration and Customs Enforcement (ICE), the bill contains $7.4 billion for the agency, over $300 million more than is currently budgeted. Importantly, the majority of that funding is allocated for detention and removal programs including 44,000 detention beds. The funding of additional detention space is crucialas President Trump has remained committed to his zero tolerance policy of prosecuting criminal aliens. The reminder of the funding would go towards the hiring of new officers and personnel as well as both domestic and international investigation programs to combat human trafficking, child exploitation, cybercrimes, visa screening, and drug smuggling. 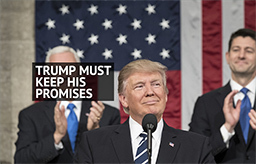 In its current form, the bill also provides funding for the Federal Emergency Management Agency (FEMA), the Transportation Security Administration (TSA), the Secret Service, and the Coast Guard. On Thursday, the House Appropriations Homeland Security Subcommittee moved the legislation to full committee consideration after an uneventful markup and voice vote. It will have to be approved by the full Appropriations Committee before it can be considered on the House floor. 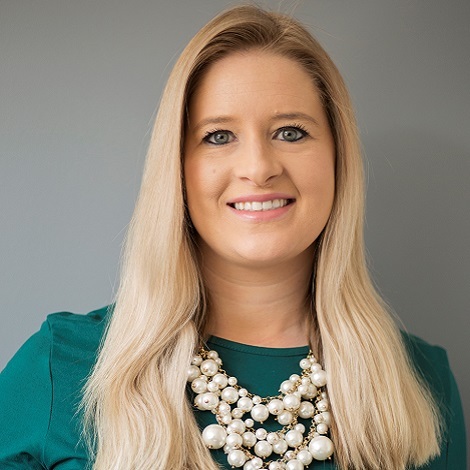 Heather Ham-Warren joined FAIR’s Government Relations department in 2018. In her role, Heather advocates for FAIR’s interests before Congress, the Administration, and federal agencies. She also reviews and analyzes federal legislation and regulations, as well as conducts research on a wide variety of legal and immigration-related topics. Heather brings with her several years of political and legislative experience having worked for legislatures at the both the state and federal levels. She began her career in D.C. working on Capitol Hill—most recently serving as Legislative Director for a Florida Republican on the House Judiciary Committee. Heather holds a Bachelor of Arts in History from the University of Florida and a Juris Doctor from the Florida State University College of Law. What are those cross-beams there for, a boost up? No mention in the article regarding the Price amendment? The price amendment will allow domestic violence and gang violence to become part of the “credible fear” criteria for asylum claims. This needs to be in any discussion where the DHS appropriation bill is discussed! 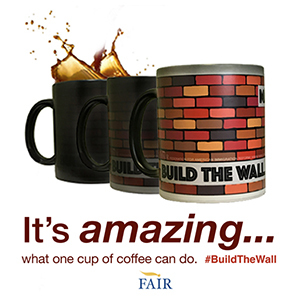 Last I heard, the total cost of DACA alone would pay like $26B for the WALL…..build it NOW instead of funding DACA. A great first step but Americans need to let their representatives know that they need to support this. And on the indirectly related topic of most of the media’s handling of Trump’s news conference with Putin: Trump’s news conference versus the Cuban missile crisis. Some perspective please? Our enemies our watching, including our much bigger enemies in China who are rapidly building a superpower sized military using stolen American technology, and you are making Americans look pathetic. 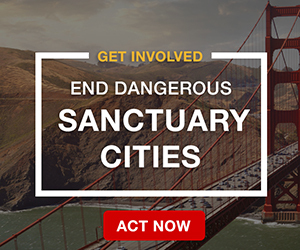 But the open borders media/Pravda for the open borders Democratic Party are going to do everything they can to bring down Trump because he is a threat to their agenda of using open borders to turn the entire country into one big California, a one party Socialist state. Once immigration turns Texas or Florida into blue states the way it turned the former red state of California into a solid blue state we will never have another conservative president. Why so many conservative “elites” in DC are incapable of understanding this when all they have to do is look at the history of California over the past couple of decades is beyond me. Must not be as smart as they think they are. And it’s not just the media and Democrats who are anti Trump. There are a lot of people in the GOP who have always hated him and never wanted to see him in office. One is Marco Rubio, who is now the new “McCain” when the media wants a “balanced ” view, meaning any supposed conservative who hates Trump. When he ran for the Senate in 2010 he flatly ruled out any amnesty of any kind because he said, rightly, that it only encourages more illegal entry. After a year in the Senate he was part of the “Gang of 8” which would have given citizenship to every illegal here. Rubio is a lying weasel. The media spin is strong on the release of the FISA application to spy on the Trump campaign. On page 2 it calls Carter Page “an agent of a foreign power”. Two pages later it says “The FBI believes Page has been the subject of targeted recruitment by the Russian govt.” So how does a “targeted recruitment” translate into him becoming an agent of a foreign power? Is there proof he did become a Russian agent? No, the clear evidence is that he worked actively WITH the FBI from 2013 to March 2016 to prosecute a Russian agent. So in a matter of months he became a Russian agent? More likely the FBI was looking for that “insurance policy” that two lead agents were talking about. I find it alarming that so many of the powers that be in this country have so little regard for the fact that we are a republic and are willing to go to such extraordinary lengths and abuse their powers to try and remove a rightfully elected US president. The Romans lost their republic and it could happen here too. This will all go away after the mid-term elections. They are posturing and preening to get votes. It’s not just the Democrats who are the open border cheerleaders, the GOP is just as much to blame. And, honestly, I think the Republicans aren’t very concerned about who has the power in Congress. If the Democrats control our government by turning states blue, the GOP can take the back seat driving position where they are more comfortable being out of the spotlight and from under the microscope as far as voters are concerned. Just a note regarding the previous comment: irrespective of how inadequate the funding for the various ‘border security’ measures is, that won’t stop the Loony Left for announcing that Trump is duplicating both Auschwitz AND Treblinka! It’ll be $5 Billion worth of gas ovens for ‘people of color’ in their warped Narrative! A measly $4 Billion increase, to be spread ‘throughout the agency?” And $5 Billion for “200 miles” of wall, fence, barriers, whatever? This, coming on the LIE last year about that $1.6 billion being spent on The Wall? Prez Trump should have VETOED that PoS, but he signed it an LIED to us about it ‘funding The Wall.” It didn’t. The money was Hissed Away on ‘studies’ – your tax dollars at non-work! Folks, we’re being had. It’s costing us billions every WEEK to maintain our armed forces in various Third World Hell Holes. We throw billions more at weapon”s systems like the F-35 that don’t work. And THIS is the best that your “Republican-controlled” Congress can do when it comes to ‘homeland security?’ What a joke! At least it would be, if the consequences weren’t so dire. This is another of Trump’s campaign promises. He has already completed most of them. The border wall is the #1 priority for Americans, and the commucrats aren’t going to be able to stop it this time. Go Trump 2020! 4.1% GDP increase!! !